This is the children’s version of the Carros de Foc, for those aged between 0 and 10. Children, the same as adults, will have a forfeit to be stamped in each refuge but without having to do the crossing. The total number of stamps can be completed for over two years only going to the refuges and without having to spend the night there. Registration has a price of 10€ and gives right to the forfeit, the book “Tina en la Carros de Foc” and Tina’s T-shirt once all stamps are completed. 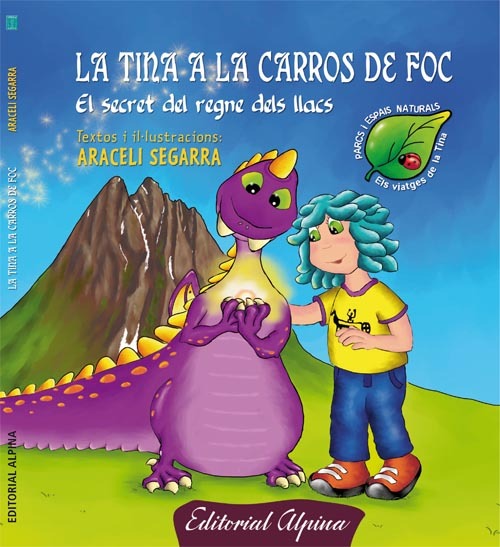 The book “Tina en la Carros de Foc”, with drawings and original texts by acclaimed Catalan climber Araceli Segarra will be like a guide for children to learn about the world of the high mountain in a fun and engaging way.